Automatic Speed Change™ is technology that adjusts speed and torque for optimal performance, even in the most demanding applications. During operation, if the tool is put under heavy load, Automatically Speed Change™ detects the added demand and applies more torque and speed to finish the job. 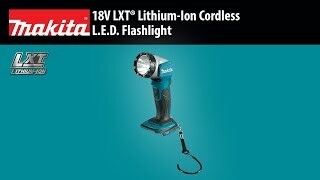 Makita cordless tools with Automatic Speed Change™ are engineered to deliver corded performance, without the cord. 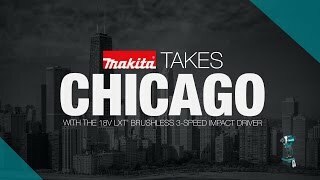 Makita is the innovation leader in brushless motor technology, and the XT611PT Combo Kit provides BL™ Brushless Motor tools that deliver longer run time, increased power and speed, and longer tool life. This 6-Piece Combo Kit is built for the pro-user who requires a wide range of best-in-class cordless solutions for drilling, driving, fastening, cutting, grinding, and lighting. The XT611PT includes a brushless hammer driver-drill with a full 1,090 in. lbs. 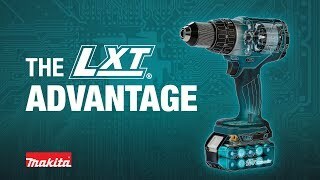 of Max Torque, a brushless 3-speed impact driver with 1,550 in.lbs. of Max Torque, a brushless 6-1/2” circular saw with a full 5,000 RPM for faster cutting, a brushless recipro saw with two speed settings and a 1-1/4” stroke length for faster cutting, and a brushless 4-1/2"/5" Cut-Off/ Angle Grinder with 8,500 RPM and an electric brake for added productivity. The kit also includes a high-luminance single L.E.D. flashlight with 200 lumens. It’s a one-stop solution for a wide range of applications. 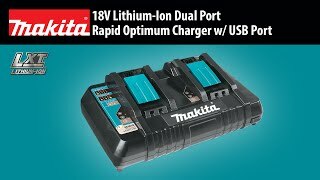 The kit includes two 18V LXT® 5.0Ah batteries, and each reach a full charge in only 45 minutes on the efficient Rapid Optimum Charger – the fastest charge-time in the category – for less downtime and increased productivity. For added convenience, the batteries feature an integrated L.E.D. battery charge level indicator. Shipping Weight : 47 lbs.